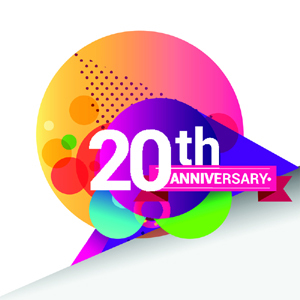 For the past 20 years BANT has been dedicated to the development of the nutritional therapy profession and supporting Registered Nutritional Therapists in their professional practice. During this time BANT has worked on behalf of members to raise standards in the profession as well as continually seeking to improve its own standards. Developing the National Occupational Standards, working with the NTEC, implementing CPD and working with the CNHC for voluntary self-regulation are amongst some of its notable achievements to date. Currently BANT is seeking statutory regulation under the Health and Care Professions Council (HCPC, previously known as the Health Professions Council, or HPC). This is a topic that goes as far back as 2001 when HPC provided guidance for the creation of the CNHC, the Complimentary and Natural Healthcare Council (CNHC), our current regulator. 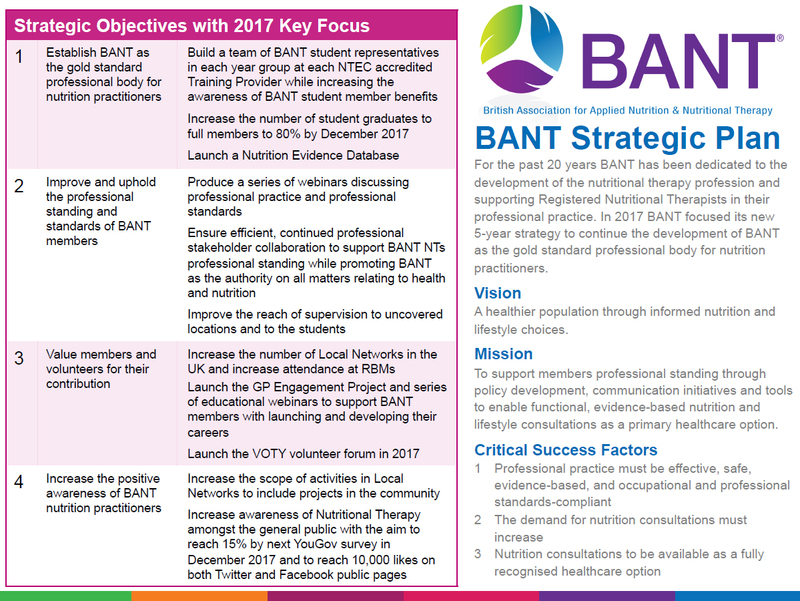 In 2017 BANT focused its new 5-year strategy to continue the development of BANT as the gold standard professional body for nutrition practitioners while improving and upholding the professional standing and standards of BANT members. A healthier population through informed nutrition and lifestyle choices. To support members professional standing through policy development, communication initiatives and tools to enable functional, evidence-based nutrition and lifestyle consultations as a primary healthcare option. BANT reviews its overall strategic direction every 5 years and the latest plans celebrate the progress made over the past 20 years and focus the initiatives led by multiple workstreams to achieving below listed strategic objectives. BANT workstreams’ nutrition professionals are complimented by experts from policy, business, marketing, communications, HR and many more skill areas to ensure that the association works effectively while operational aspects of professional association are held to the highest of standards. BANT members can access a summary of Strategic Plans and BANT Operational Structure together with additional detail and direction by reviewing the Annual Report and AGM video at Member Only Pages.